Over the past decade, the RV industry has held its industry-only show in Louisville, Kentucky. For those who attend, the show’s nickname is “the Louisville show.” The show is managed by the RV Industry Association (RVIA). However, RVIA decided it was time for a change. 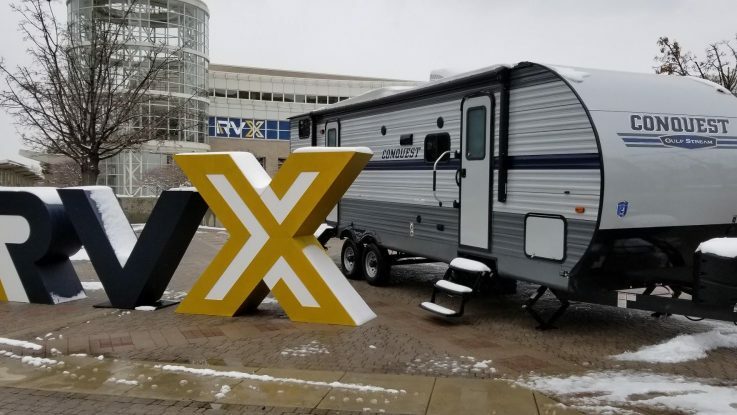 “The Louisville show” ended in 2017, and RVIA chose to reboot the show titled as The RV Experience (RVX). This new show will visit different cities each year. Please keep in mind this show has always been and continues to remain as an industry-only show, so it is not open to the public. Since the show is industry-only, it’s a great venue for RV manufacturers and RV dealers to get together. The manufacturers showcase the brand new model-year RVs, and the dealers can place their orders. RVX blends the buying experience and give more reason for dealers and manufacturers to get together. Manufacturers also have the opportunity to show dealers what they are working on for the future. So how in the world did we get there? We were blessed to be invited as influencers to share the news with our followers. Let me tell you about our experience at the first ever RVX show. The Reveal launch was the biggest event of the show. A panel of judges, industry veterans, media, and influencers selected their top picks from more than 400 manufacturer entries in nine different categories. Let’s take a look at the judges picks for “Best in Show” for each category. So what’s our take away from the reveal? We can tell you that trends and improvements you have asked for and read about are definitely making their way to the RV manufacturers and will soon be delivered to dealerships near you. Technology is definitely at the forefront of the industry. You can definitely feel manufacturers are trying to connect with a new type of RV buyer. Today’s buyers have different wants and needs than the older generation. 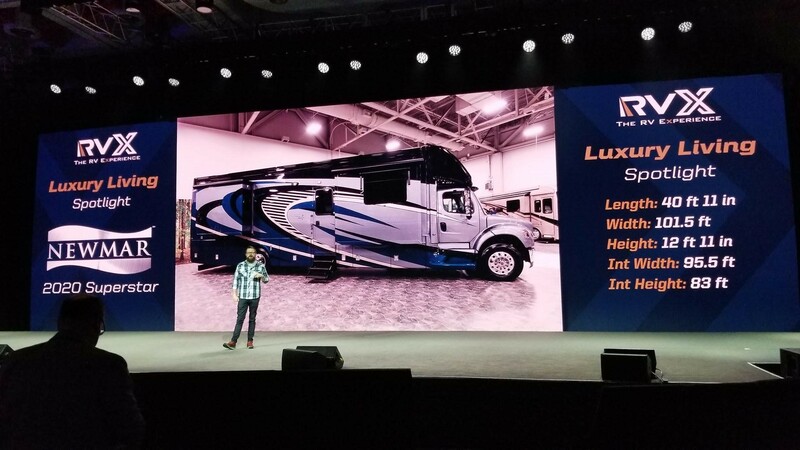 Furthermore, a keynote speech from the president of RVIA noted the direction of the RV industry, current sales, projections, and the overall continued strength of the RV market. The RVIA cited these as reasons the industry is growing. He did mention that a decline has been reported in recent sales. But those numbers are based on three consecutive years of record-breaking increases. Toby O’Rourke, the new CEO of KOA Campgrounds, gave some insight on KOA’s upcoming annual camping report. KOA’s efforts are currently being directed toward the growing technology in our industry. We had a chance to spend some time at the KOA Campground of the Future booth, and it was a blast. We were drawn to their booth and their ideas for futuristic campgrounds. The KOA CEO herself showed us around. Now that’s a hands-on approach. KOA had a virtual reality simulator at their booth to demonstrate their vision of the future of KOA. (Did we mention that everybody is embracing technology?) KOA campgrounds plan to incorporate technology any way they can. There is truly a little something for everyone. For instance, an example of this tech exchange (and my favorite part of the display) was visiting the campground by the beach that actually had cabins with rooms underwater and glass walls so you could see the ecology of the ocean. Who wouldn’t want to rent that cabin at a KOA?! The bottom line: KOA is foscusing on the customer experience by delivering tremendous hospitality, all while embracing the outdoors. KOA is prepared to accommodate your favorite destination: the mountains, the beach, the desert, or a more urban location. Their focus will be to deliver the best-in-class camping experience for everyone. Being Newmar owners, we spent a lot of time at the Newmar booth talking with executives from the company. Newmar went all out on their booth. It was huge! It had everything you would expect in terms of top-of-the-line quality. They showcased their luxury category winner: The Superstar. This is a brand new, luxury Class C motorhome that provides exceptional towing and functionality with the quality you expect from Newmar. 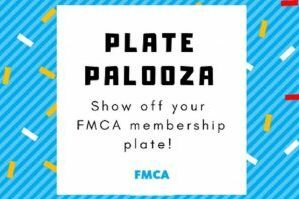 It might be a huge game changer in the Class C market. One of the coolest things about the Newmar booth was their food set-up. They had chefs using the removable induction cooktop from one of Newmar RVs to prepare their hors d’oeuvres. And we loved the s’mores! What a genius move to show people what you can cook and how you can utilize the RV stovetop! As we visited booths like Newmar’s, it was interesting to see there was a little bit of confusion on the focus of this new show. Do manufacturers focus on getting new orders? Or are they just showcasing their newest lines? Chalk it up to growing pains of a new show. Yet one things was clear — all booths had a common running theme of technology. We definitely noticed manufacturers, dealers, and RV industry professionals using the event to showcase their newest technologies (many of which are a year or more away from hitting the market). As we got ready to leave Salt Lake City, we reflected back. The beautiful snow-capped mountains that surround the city were the perfect setting for the first RVX show. The weather cooperated for the most part, and it snowed the second day of the show. I tip my hat to the organizers, Go RVing, and all the attendees of the show. Change can be hard to embrace, and the winds of change have been blowing in the RV industry for quite a few years. We’re excited that the industry, manufacturers, OEMs, and campgrounds understand the ground below them is shifting. With changing customers’ demographics, the RV industry has to fight to keep pace. Even with record sales over the past few years, the RV industry is smartly kept its eyes firmly fixed on the future — a future that’s coming faster toward them than ever before. We are excited to see where the industry goes next. That doesn’t mean there won’t be quite a few speed bumps along the way. We look forward to next year‘s RVX Show now that we are “veterans“ of the event. Now, it’s time to get out and camp! As FMCA members since 2014, Soulful RV describes themselves as not the typical RVers. Keith and Tia, F452083, are an African American, semi-retired couple (former NFL player) with a large family. They share both the practical and fun sides of RVing on SoulfulRVFamily.com and social media, including Facebook and Instagram.